There are at least two female American Redstarts, and one male, that I have been seeing regularly at Lake Roland the past two weeks. 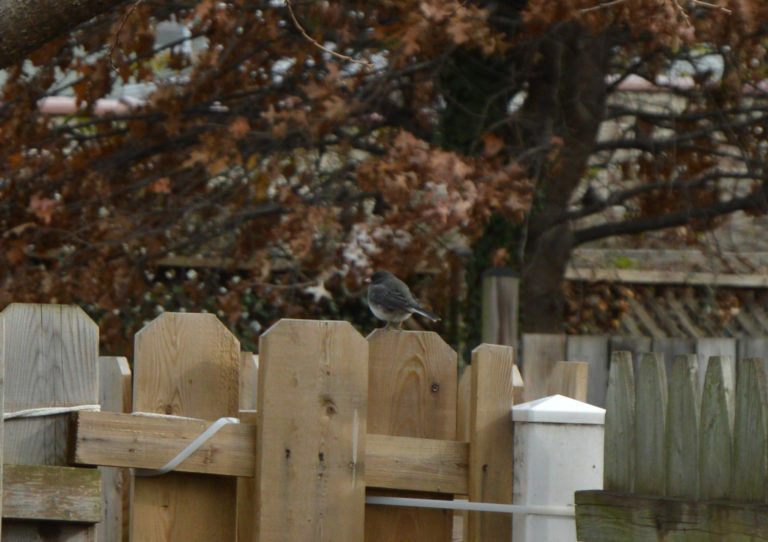 These birds are very small, and I love the subtle yellow coloring of the female, as seen in the above photo. I would not expect many personal photos of warblers while my main bird photography equipment is a smart phone, so John’s wonderful photo will do for this post. My goal for August was to meet or exceed the number of species I saw in July, and I’m happy to report that I accomplished it. You can see my checklists at my eBird profile (a new feature at eBird), but I believe you need to be an eBird member to view it. If you are, the link is: http://ebird.org/ebird/profile/NzU2NzU3/US-MD-005. September brings fall migration, so I hope to once more meet or exceed the previous month’s total. We’ll see how I do! One challenge I face, being so new, is correctly IDing the myriad of Flycatchers and Wood Warblers that are around. The Flycatchers tend to all look nearly identical, and the Wood Warblers tend to move so quickly, at such a distance, that it can be difficult to catch a glimpse of tell-tale field marks. Some (like the American Redstart or Black and White Warbler) are easier to ID at a glance, but others (Northern Parula and Magnolia Warbler) can look exactly alike if they happen to flit by in a blur of gray and yellow. But I enjoy the challenge! If it wasn’t obvious, I do most of my birding at Lake Roland. This is mostly a matter of convenience, as it is right down the road from our house, and working out farther places on a 14 month old’s schedule can be challenging. That said, it’s a great place to practice my birding skills. However, I had been going mostly in the evening, and seeing the same assortment of 15-20 birds each time. I did spend some time looking for shore birds and spotted my first Killdeer, which was exciting, but these evening jaunts were really about Harrison, and spending time with him at Acorn Hill. I wanted to get more time focused on birds, and the answer was sunrise. Arriving at Lake Roland just as the gates open, around 6:30am, and spending about two hours on my own. 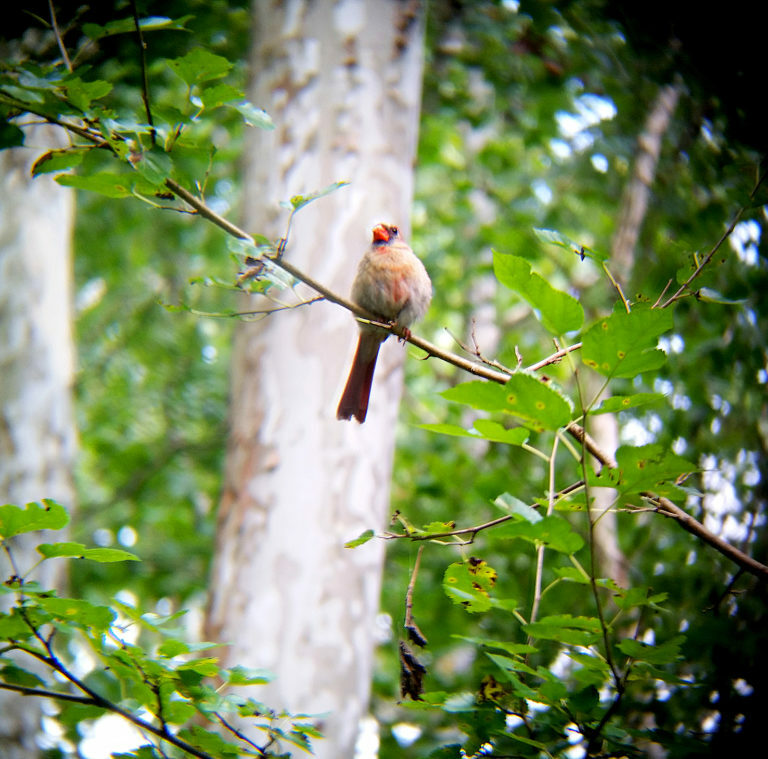 So far, it’s been great, and I am seeing so many birds I either a) have never seen before or b) can’t even identify. It’s exciting. 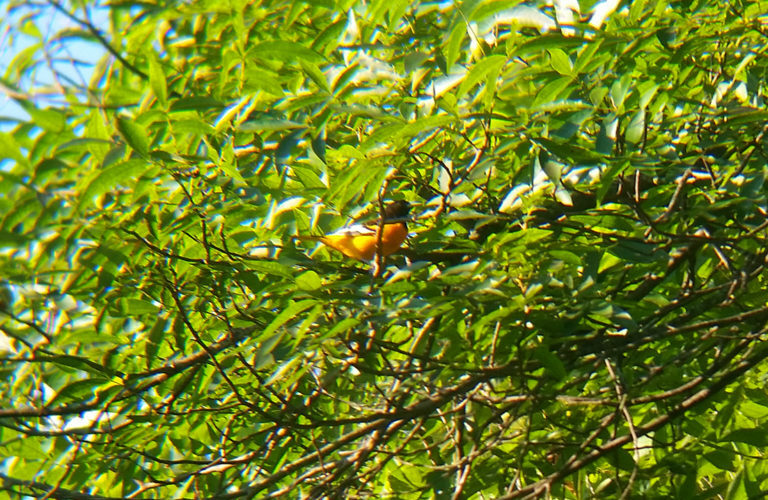 The above picture is a Baltimore Oriole (one of three) spotted this morning. 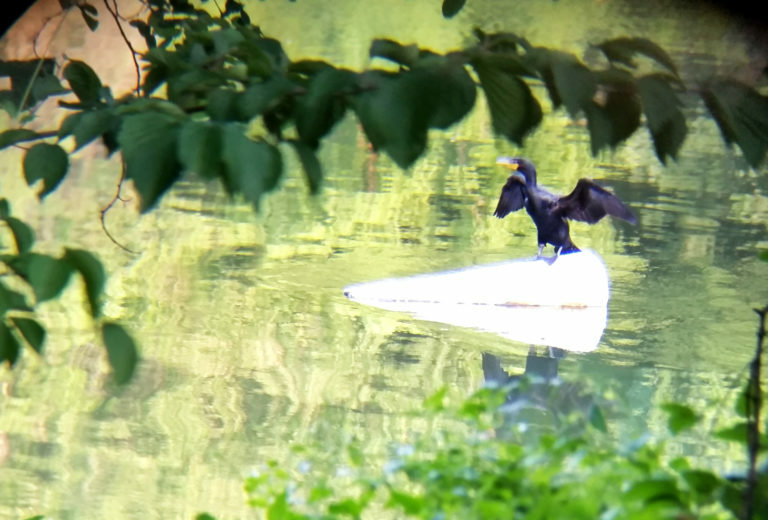 I am extremely happy with how that photo turned out, considering it was taken haphazardly with my Galaxy S5 through my binoculars. Here is the full checklist of everything I saw (including entries for warblers I was unable to ID, as well as several flycatchers I could not make any ID on). Included in that list is what was, until this morning, my current nemesis bird: the Scarlet Tanager. I did not expect to see them today, and was both happy and a little sad about it; happy to have seen them, sad that Nat wasn’t here as well. We’ve both been on the lookout for quite some time. 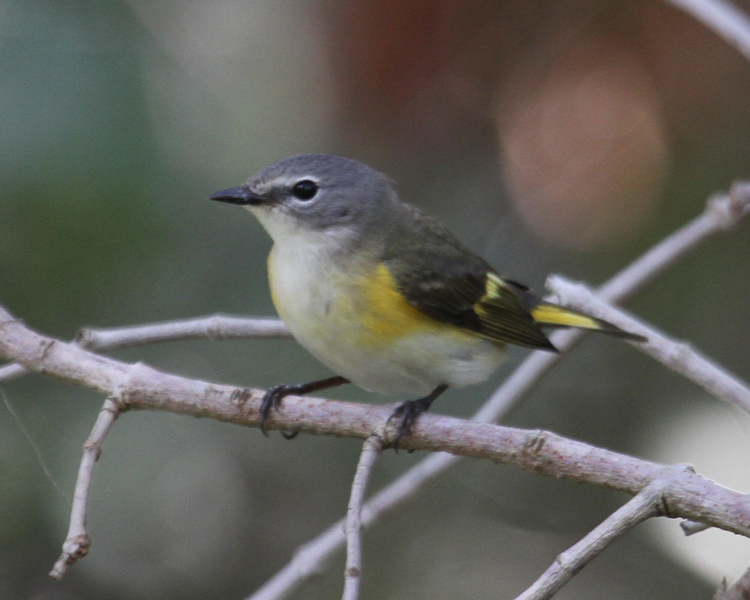 Also included is a Yellow-throated Vireo. This was a challenging one to ID, though I am confident that I am calling this correctly. At first, I thought it was a Prothonotary Warbler (and actually there is a remote chance I saw both, but the only confident ID I have is the Vireo, so I will leave the Prothonotary off the list until I can 100% ID it another time) but as it fluttered between trees I caught a much better look, and saw the white wing bars. There was a clearly yellow, smooth head with dark wings as well. I was able to watch this bird for a solid 5-7 minutes, noting down everything I could, and made the final ID at home. My plan is to do a sunrise bird-watch at Cromwell Valley tomorrow morning. We’ll see how that goes! And, because I thought it was pretty wild, here is a clip I captured of a Great Blue Heron perched in a tree just off the boardwalk last weekend, around 6:30am. Another fun thing that happened this morning was running into a fellow birder named Peter Lev. I’d seen his checklists on eBird many times, and we birded together on the boardwalk for about 15 minutes before it was time for me to pack up shop and head home. Nathalie and I recently applied to join the Baltimore Bird Club officially, and I am really looking forward to meeting more Baltimore birders, as well as taking part in their group bird walks. And Harrison went down for an early nap, giving me time to write up this post. All in all, it’s been a great morning.